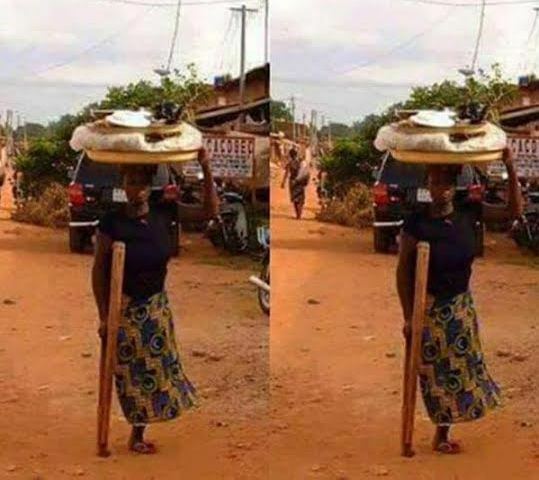 Photo: One legged woman spotted hawking in Lagos ~ CK Jacob: Nigerian Fiction And Lifestyle Blog. CK Jacob: Nigerian Fiction And Lifestyle Blog. Welcome Home!!! I write, think... I blog! Your comments are highly appreciated. This is written by Rufus Brughs. It is a short poem. Enjoy! My fiction stories written on my blog must not be copied or published elsewhere on any platform without a written permission from the writer/blogger. To advertise on this blog, contact me! Adorable picture of IK Ogbonna and his cute son. Madonna and Sean Penn getting back together? Halle Berry continues to wear her wedding ring! OMG! Is this for real? Two Throwback Pictures of Rita Ora. Adele reveals she wanted to be a surgeon. Chelsea striker Diego Costa hospitalized! Arsenal humiliated by Sheffield with three goals. K Michelle stuns in red body-hugged dress. Ini Edo and her G-Wagon strike a pose together. Which one is your favorite look? Stephanie Linus and Hubby welcomes first child. Kelly Clarkson is having a baby! Rukky Sanda looking good in new pic. Creative but can you eat this cake? SPECTRE: New James Bond movie is back! Popular Posts!! Click on them! JENIFA'S DIARY: Who is your favorite character? Pics: Jennifer Lopez rocks her curvy body on stage! When Bruno Met Dakore... Episode 12. (S3): PARTNERS IN CRIME! E6. Stories on www.ckjacob.com are work of fiction. Names, characters and events described are the imagination of the writer. Resemblance to actual persons, alive or dead, is entirely coincidental.